for $435,000 with 2 bedrooms and 2 full baths. This 3,256 square foot home was built in 2015 on a lot size of 0.05 Acre(s). Located in coveted Stirling Pointe at Skye Estates! One of the most sought after locations in all of Utah County! This home is immaculate inside and out! Easy access to shopping and conveniences yet nestled below the hillside! Wonderful mountain views! This beautiful home features a carefree active, maintenance free lifestyle. 55+ community but 20% of the residents can be under the age requirement. Cozy front porch enters into an inviting main entrance w/gorgeous laminate flooring, wrought iron railing, large living room w/lots of natural light. Fantastic kitchen, staggered cabinets, granite countertops, lots of can lighting, pendant lighting, gas cook top, stainless steel appliances, built in double oven, built in microwave, glass pantry door, sliding glass doors to back yard and more! Formal dining room with trey ceiling. Elegant master suite with trey ceiling, can lighting, double vanity w/granite countertops, garden tub, separate shower & spacious walk-in closet. Fantastic club house includes, inviting entrance, wonderful gathering room w/beamed ceiling, gas fireplace & large windows, spacious kitchen w/granite countertops, large refrigerator & huge island. Classic theater room w/raised seating and vintage decor. Beautiful workout room w/exercise equipment & TVs. Two park/playgrounds w/pavilion, swings, slides, walking trails & lots of grass area! This home is gorgeous! This home is immaculate! 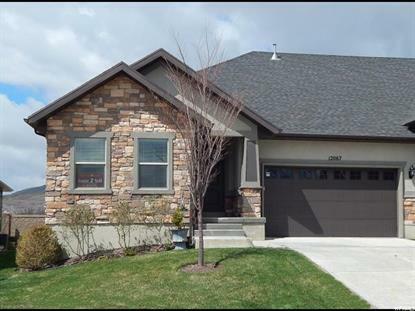 This home is located in a prime location, this home is just waiting for you! Assist 2 Sell Buyer's 1St Choice Realty L.L.C.